At the Y, we believe every child should learn how to swim! Our swim lessons are about more than just the techniques and skills. They are about nurturing swimming skills, developing self-esteem and creating positive experiences that will last a lifetime. Children develop confidence around water as they learn water safety skills, stroke technique, and discover the joy of swimming. Swim Starters: Levels A & B parent/children are in the water together, ages 6 months-3 years. Swim Basics: Levels 1-3 these are the building blocks for learning swim strokes and have a strong focus on learning how to be safe in and around water. Preschool ages 3-5 and School age 5-12. Swim Strokes: Levels 4-6, using the foundation built in levels 1-3, swimmers learn swim strokes and build endurance. School ages 5-12. 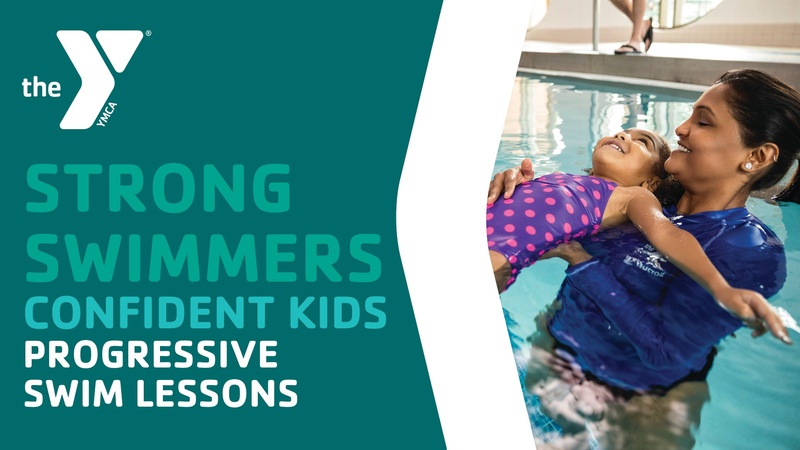 Each session of swim lessons includes 8, 30-minute lessons. Classes are offered on Tuesdays, Thursdays, Fridays, and Saturdays. Classes are offered on Tuesdays, Wednesdays, Thursdays, and Saturdays.